Podcasting is undergoing a renaissance with listeners consuming on-demand shows at unprecedented levels, and creators enjoying surprising levels of success with their work. One thing that sets apart the amateurs from the professionals is good content, but the other is production values. I have been running my own small podcast for about a year, trying different ideas and formats to see what works. While I’m an amateur podcaster, I create tutorial videos for a living and I used to be a professional musician, so I know a thing or two about sound, music, and music production. I have also been using a Mac since 1997, and have recorded audio with just about every port that Apple has released. For me, the podcast is a great outlet to cover topics I don’t get to cover in my paid writing work. And of course, like many other podcasters, I like the sound of my own voice. Here are some of the things I’ve learned, along with recommendations on the hardware, software and techniques to get you started podcasting using your Mac. 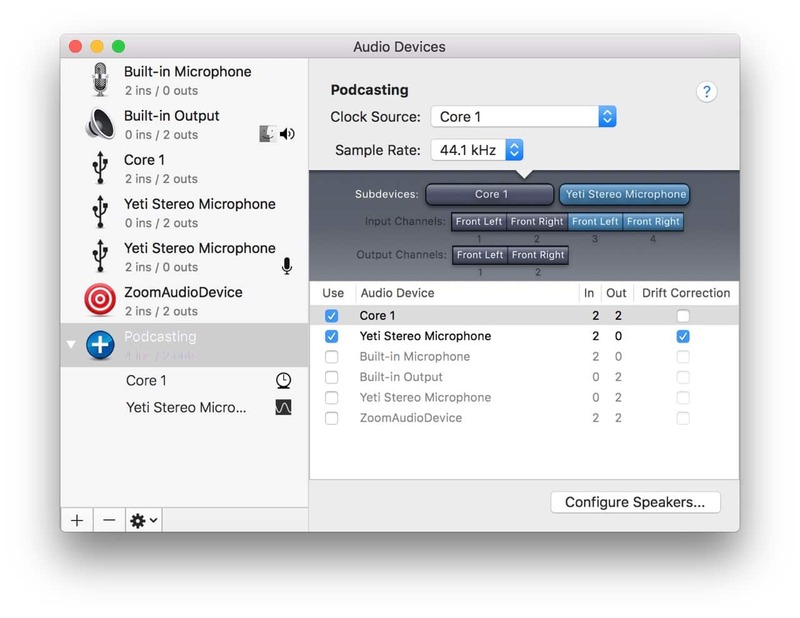 In it’s simplest form, a podcast episode is just audio, and nearly every Apple device has an internal microphone and an application for basic recording. On macOS this is QuickTime, which is a venerable application in the Mac world that has been through many transitions of role, but now serves as an Audio/Visual recorder and player, albeit with limited export options. If you’re highly skilled and can make a recording in one take with no mistakes, then QuickTime may be all you ever need. But chances are you will need to undertake some editing and processing, or need better export options. 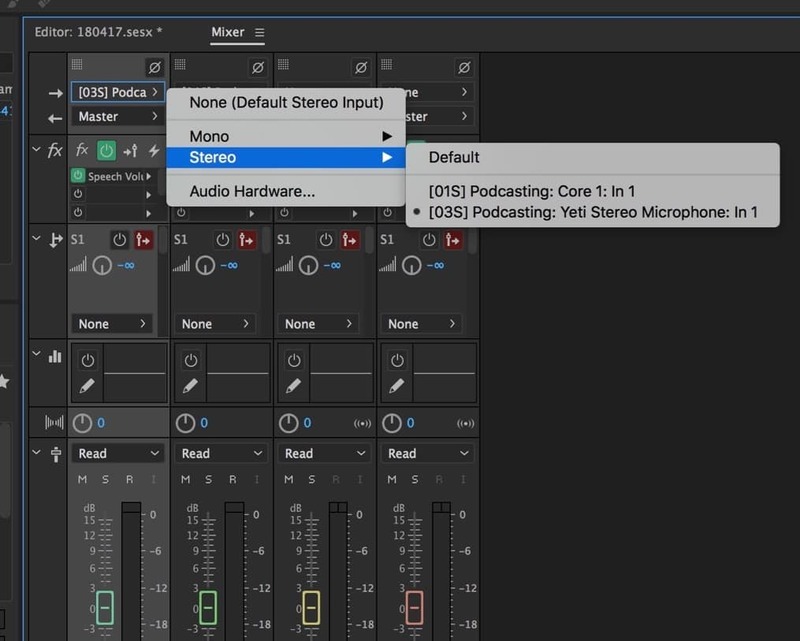 Fortunately, there are numerous options for recording and editing audio. Audacity: If you are looking for free options, this is the most popular and widely used. Adobe Audition: Perfect if you already have a Creative Cloud subscription, and need something that allows for more complexity. GarageBand: Now free, GarageBand offers good features for recording a podcast (with a familiar interface). Logic Pro X: Aimed more at professional studios, Logic is too much for simple podcasts, but if you happen to have a copy available and know how to use it then it will serve you well. WavePad: WavePad is free for non-commercial use, so is a good option if you’re looking for something more professional whilst you build up profile and experience. Personally, I used Adobe Audition, but if you are just getting started I recommend Audacity as it’s something anyone can download and use. I won’t go into details on audio editing as that is a big subject that you can find plenty online about, but I will cover some general principles to get you started. Using your internal microphone sounds fine until you plug in something better and realize how terrible you sounded before. Picking microphones is a vast topic that you can find a lot of existing advice on, and trust me, I have spent hours looking. Again I will cover basic principles and make recommendations but leave you to delve further. In general, you have to choose between a digital or analog microphone. As sound coming from your mouth is in analog form, at a certain point in the recording process you will need to convert it to a digital signal to get it into your Mac. There are USB microphones that handle that conversion for you or analog microphones where you will need to convert the signal yourself with an analog to digital converter (ADAC). As the Mac mini is currently the only Mac with a line in, this will mean an external device. You typically won’t need to install any extra drivers to use either option on your Mac, just plug it in and select it as an input. The general principle is that the more you pay, the better the quality and features you get, but balance this what you need, and you can always upgrade later. If you are one person using one microphone then you want a microphone that uses a ‘cardioid’ pattern (read more about mic patterns), which is common on all digital (USB) or analog microphones. For most of my work, I use the Blue Yeti as it’s a good price, and flexible, allowing you to change the pattern for different recording situations. For when I’m on the road or have a co-host, I also have a simpler Blue Snowball, which comes with a small tripod, but less control over the sound. Finally, I have an Audio-Technica Lavalier microphone, which are the small mics you see clipped to people’s clothing, for a less intrusive setup. Lavalier microphones are mostly analog, so to record this type of microphone, you will need an ADAC. 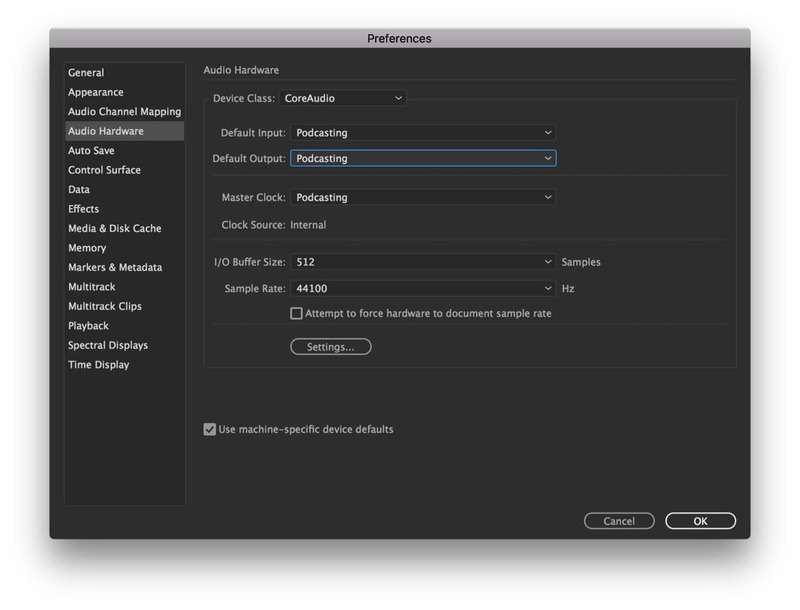 Recent updates to macOS have reduced the options for analog audio interfaces that work well with Macs, but hopefully, manufacturers (or Apple) will solve these issues soon. Unless you want to record multiple inputs simultaneously, then the interface doesn’t need to be anything complex. I use an Alesis core, which Alesis has discontinued, but it’s a simple interface and serves my needs. For available alternatives in a similar price range try the Scarlett solo, or the Behringer UM2. When I first started recording analog audio, latency was the biggest issue, but modern hardware has reduced this to a point of near irrelevance, and you only need to look for devices with reasonable input volume and low noise. 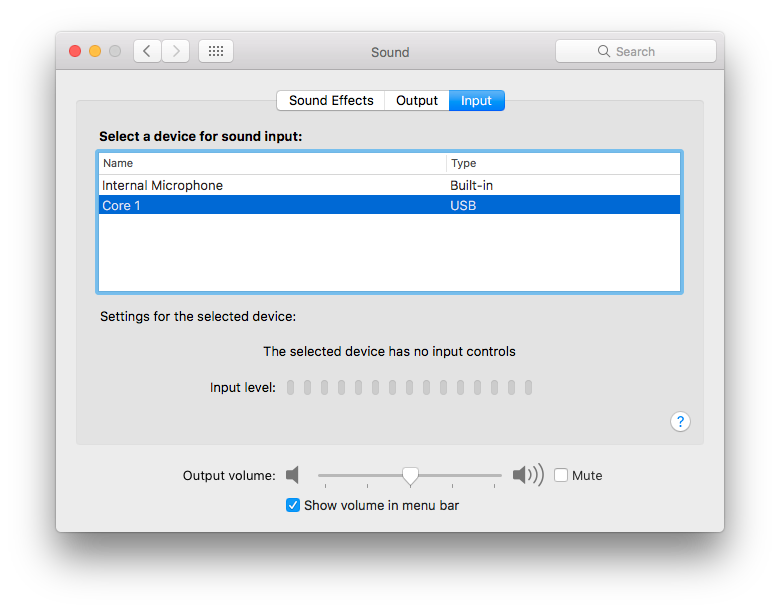 One of the recent changes to macOS audio drivers has been the way it handles multiple inputs. It’s been so long since I’ve used multiple inputs on a Mac I can’t quite remember how it used to work, but I’m sure something changed! 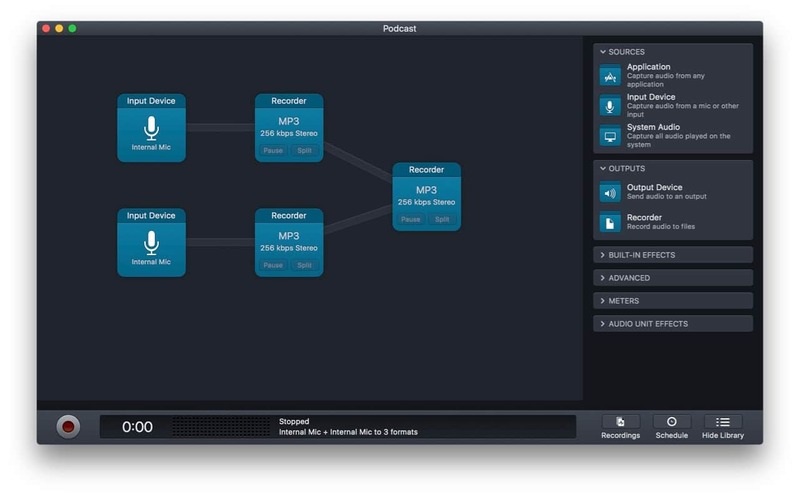 Open the Audio MIDI Setup application which lives in Applications -> Utilities and you will see any connected input and output devices listed on the left-hand side. Click on a device and, if supported, you will see settings for the format (quality) and volume of the device. To record multiple devices, you need to create an ‘aggregate device’ by clicking the + icon in the bottom left of the window and selecting Create Aggregate Device. Check the devices you want as part of the group, and again, set the sample rate for the input(s). Depending on the devices you add you also set the input and output channels used for each device and a ‘clock’ (used to synchronize sources) source. Now in your audio application of choice, you can select the aggregate device as the input. For example, here’s what I selected in Adobe Audition. And on individual channels, you can select the specific input to use from the group. Recording your podcast involves defining and finding content, interviewing guests, learning microphone and editing techniques, and much more. All of these topics could be articles in themselves, and others have written better advice, so here are a few recommended links. But in short, be bold and stick to what interests you; let your passion shine. 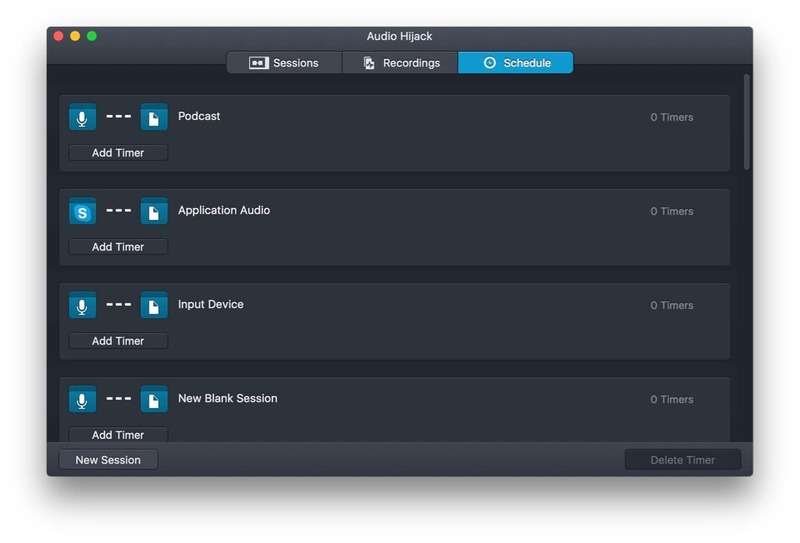 Audio Hijack Pro comes with a number of session templates to get you started with common tasks and a drag-and-drop interface to customize these to suit your use case. 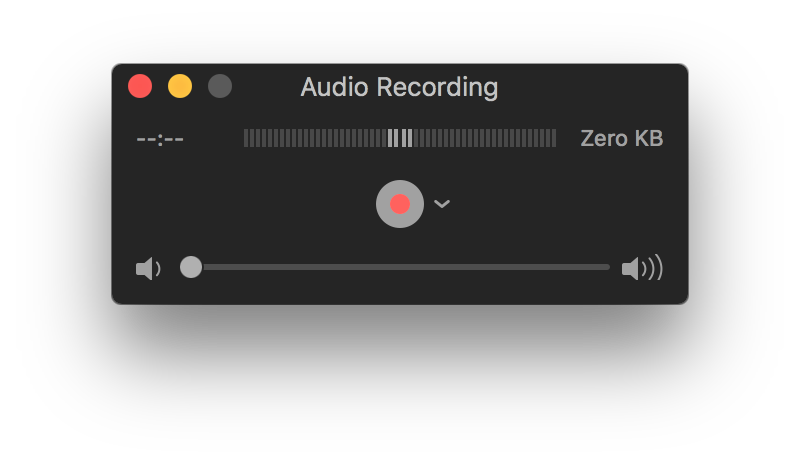 If you are happy to edit recordings elsewhere, then Audio Hijack Pro is possibly all you will need for recording your podcasts as it also has tools for volume control, effects, input/output control (yes, this could replace the need for aggregate devices) and scheduled sessions. There is no defined format for a podcast episode, it can be any audio format you like. Of course, it’s best you pick something that is a common format and compressed to allow for better distribution on the web. MP3 is fine, but an old (and officially ‘dead’) format and I suggest something else like FLAC or AAC. All the audio editors I mentioned above will allow you to export to a variety of formats. If you use a Podcasting service (as opposed to hosting yourself) then they will handle the conversion process for you, so the upload format is not so important. I personally upload uncompressed AIFFs to Soundcloud as I can download the originals at any time for other use. A podcast is, in essence, a series of audio files, described by an XML-based RSS file that contains metadata on the feed itself, and metadata on each episode that references the audio file you created above. Where you host your audio and feed files is up to you, and as with many technical options, you can host it all yourself, or use a paid service such as Soundcloud, libsyn and PodBean. If you decide to host yourself then remember that streaming audio files can use a lot of bandwidth. If your podcast becomes popular, this can increase your fees or result in service outages. I currently use Soundcloud to handle this for me as it is the easiest to get started with. But it has some limitations with scheduling episodes and analytics, so I am investigating other options. You’ve bought equipment, set up your studio, found content and recorded your first episode. Now I assume you want someone to listen to the podcast. This is more about marketing and promotion, is not very Mac specific, and better words have been written by many others, so here are some links I recommend. I am still experimenting with the best ways to promote my podcast and am about to try new marketing ideas in the coming months. However, I found that the Buffer blog has some of the best advice I’ve found so far. 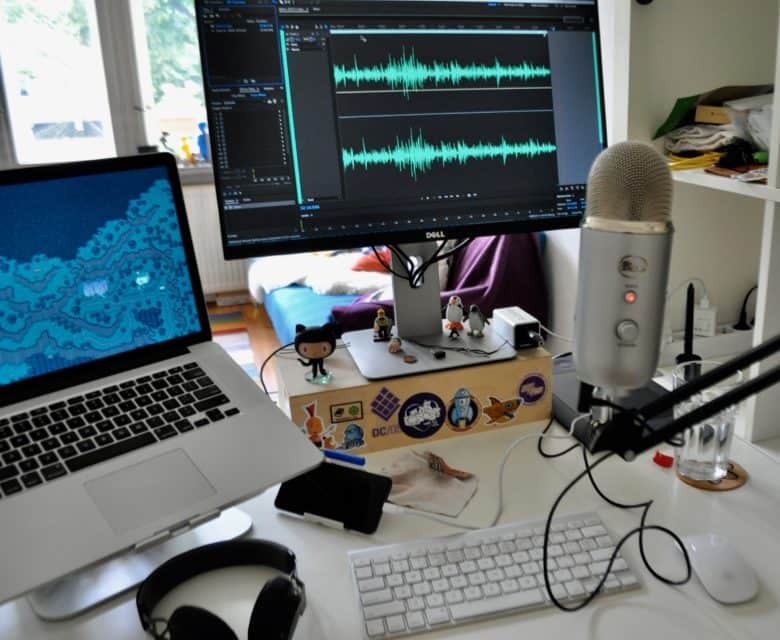 Making a podcast is a fun activity, and with a little investment, setup and configuration, it’s easy to sound more professional and join the throngs of those expressing their opinions on the great wide web. 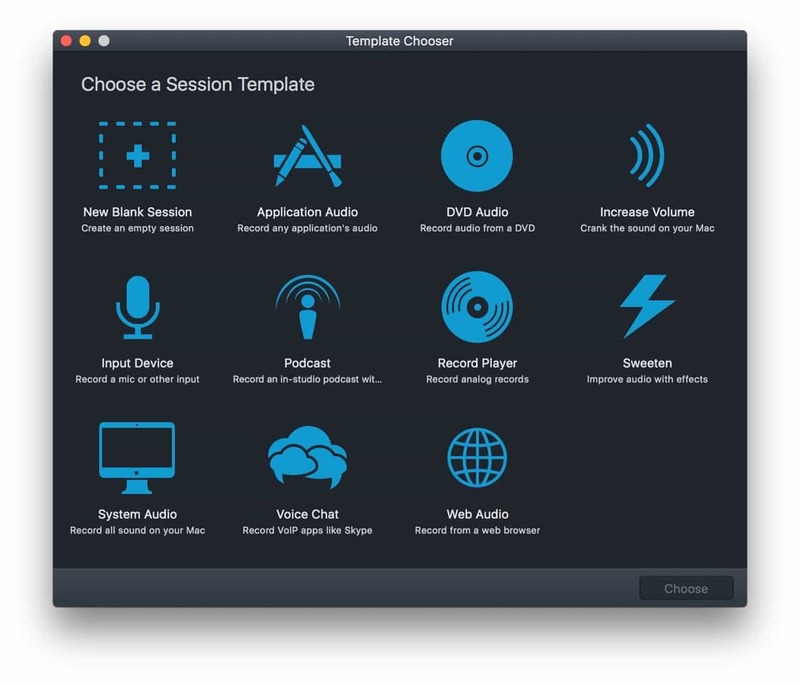 I’d love to hear any of your tips and experiences hooking up hardware to your mac, or software you used to record. Let me know in the comments below. Leave them in audio if you want!